The impact of Facebook has increased to such an extent that getting acquainted with someone over Facebook is the latest trend. Now many times, when we meet peoples while on a travel, in a party or at a concert then instead of exchanging our telephone numbers we ask them to get connected on Facebook. We just ask the other person to search us on Facebook by our name and send us the friend request, so that once we accept the request we can get connected. However, as we all know that Facebook has millions and millions of users, therefore many times our name become so common that it’s quite hard for the other person to find us. Now you get it right that why that girl which you met in last summer fest hasn’t sent you the friend best. My dear friend, it is due to your name, which is so common that make it really difficult for her to find your profile on Facebook. So, if you are thinking of a solution then you have landed at the right place, as in this article we will explain how to get a custom URL or a unique URL so that it could be easy for the other person to find your profile on Facebook. 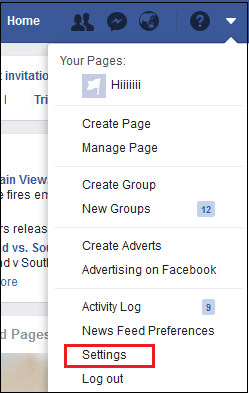 Log in to your Facebook account and click on the down arrow located at the top right corner of the screen. Now from the drop-down menu click on the Settings option. In the General settings, you will find an option for Username. Now set the desired Username, however, as per Facebook it is mandatory that your username should include your authentic name. Therefore, before deciding the username make sure that it contains the actual name, as in case if Facebook finds any discrepancy it will reject the username. Once you have set the username click on Save Changes. 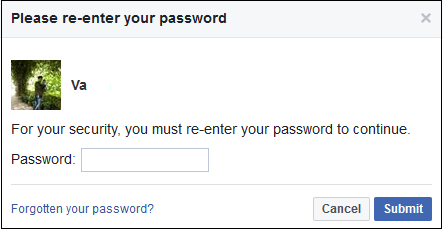 Facebook now ask you to enter your password for security reasons. Enter your password and click on Submit button. Now you can see that in the Username section you have got a unique URL. You can now share this URL with anyone so that they can easily locate you on Facebook.